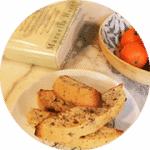 Below the prices of our Online Italian Lessons Prices. But first, why choose Italian Virtual School? Why choose Italian Virtual School? Because we are a language school focused almost exclusively on online: our prices are lower than the local schools because we don’t have high management costs. At the same time the quality of our courses is high: all our teachers are highly valued by the students. Because we do our job with passion and we want to give you our best. Frequency: in accordance with the students preferences. Each class lasts 1 hour. Frequency: 1, 2 or 3 times per week. Each class lasts 1 hour. 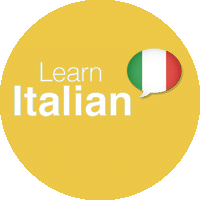 Please note that in addition to this Online Italian Lessons, you have an extra Course dedicated to the Italian Movies: Italian Cinema Course. In this case the price for the Individual Classes is 25 € per hour like the Single Class outside the package. The purpose is the achievement of the level directly subsequent. The Courses cover all the six level of the Common European Framework of Reference for Languages. The classes are available in Individual or in Small Group format (no more then 3 students per class). These courses have not predefined topics and are not related to a specific book. Our intention here is to meet the students’ interests and curiosities. 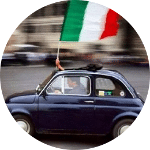 To join this course, it is better having already a bit of knowledge of the Italian language. The classes are homogenous. Individual and in Group format is available. If you want to get the CELI and CILS certifications this is your course. Consider approximately 60 hour lessons for preparing one level in Group Classes. Consider 30 hours of lesson for preparing one Level in Individual Classes. We provide mock examinations. The children are generally shorter. Therefore you can consider 30 minutes per class. These are coursed for 6-15 years old children. Weekly frequency is at parents’ discretion. The course will focus on some of the most important Italian films providing its interpretative key and allowing the students to improve their level of Italian. Careful: The Price for the Cinema Course is 25 € per each 60 minutes Class. More about the Italian Cinema Course.